Pic The BBC has released a teaser image for the Doctor Who 50th anniversary special, which will be a feature-length episode called The Day of the Doctor. The pic is full of clues about the episode, showing two damaged Daleks, the Tenth, Eleventh and "X" Doctors played by David Tennant, Matt Smith and John Hurt respectively, and the words "Bad Wolf" scrawled on a wall. 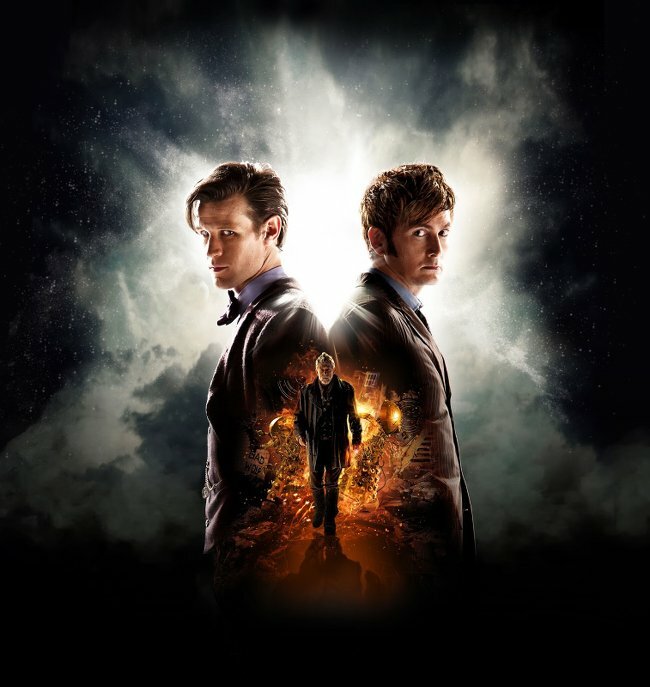 Whovians will no doubt be picking apart the meaning behind every last detail of the poster, including why there are stairs and round things that look like manhole covers in the background, but the presence of Bad Wolf is perhaps not too surprising, since Billie Piper's Rose Tyler was known to be returning for the episode. Along with the clues for the anniversary episode, the Beeb announced that Professor Brian Cox would be hosting a show with celebrity guests and members of the public on the science behind Doctor Who. Arts programme The Culture Show will have an episode on the cultural significance of the long running sci-fi series, along with the previously announced drama about how the series started, An Adventure in Space and Time.